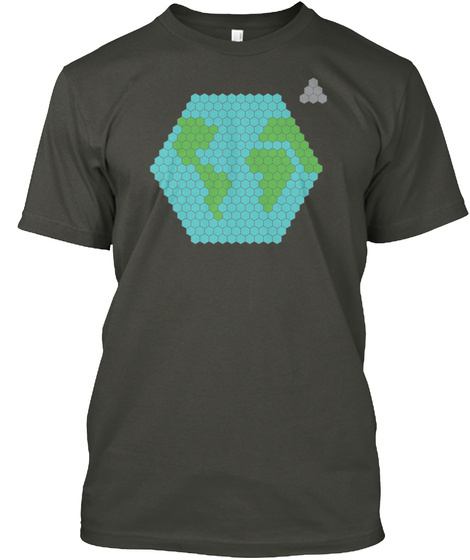 Hexagonal representation of the Earth and Moon. Number of hexagons approximates relative volumes. Earth shading approximates relative land/ocean percentages.